Stream anime episodes online for free, Watch One piece Episode 144 English version online and free episodes. Anime Episode guide One piece Episode 144 English dubbed Caught Log! The King of Salvagers, Masira! 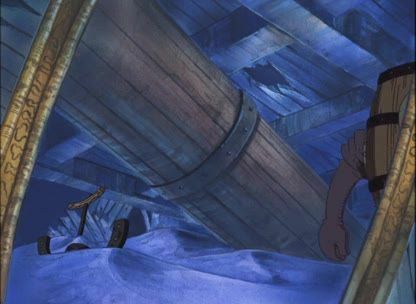 Nami’s log pose begins to point to the sky, after that, a big ship falls from sky and the crew finds a map in of an island named ‘Skypiea’ on a 200-year-old ship. They compete with the monkey-like Masira’s salvage crew while they search for more clues on how to get there.